Amazing pillow. Really helps with all of my neck pain and sleeping issues. Dri-Tec moisture wicking fabric, is ideal for warm to neutral sleepers. 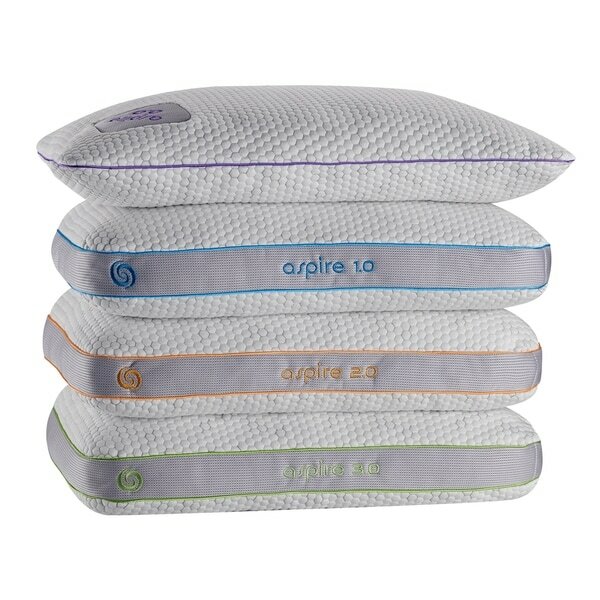 Single layer pillow pad with responsive and soft Boost blend fill has a lower profile for stomach sleepers while providing adequate support of your head and shoulders. Responsive and soft Boost blend on one side with a crown layer on the other for maximum support and cushion. Dimensions 26.0 In. X 20.0 In. X 3.0 In. I discovered this pillow and it saved my neck! I will never consider another pillow. I have neck problems and this pillow helped me wake up without an aching neck. I take it everywhere on vacation, it has been numerous places. Wouldn't leave home without it! Highly recommend. Price was a factor for me but in the end it was worth it! I would highly recommend this pillow. Matter of fact I have given 2 away as gifts and they love them! Bedgear makes great quality pillows!! I’d been having trouble finding the right pillow for ages! These pillows are amazing. No more waking up with a sore neck! Highly recommended! Very comfortable. Love cooling piece. This is a Christmas gift, so will have better review then. This is absolutely the best pillow. I have had one for over 2 years and it began to break down and I was always waking up with my hand under it so i decided to purchase another one. I highly recommend this! If you have neck problems this is the pillow for you! I’m a multi sleeper and it’s tough to find a pillow that will hold out for a while. My husband already owned this and he loves it. When I had some neck/back pain from an old worn out pillow I asked him to let me try his. The next day I felt 100% better. So now I bought myself one! "Are there pillow protectors for these pillows??"